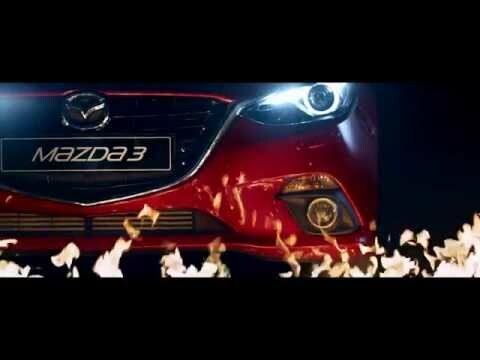 We intended to create a car that makes no compromise between fuel economy and performance, SKYACTIV Technology has made this vision come true. Our cars are efficient, powerful and feature the world´s best compression ratios in a mass production model, resulting in outstanding fuel economy and, low CO2 emissions without compromising on performance. From the body and chassis to engines and transmission, we now offer the world’s best compression ratios.Our engineers know that fuel efficiency is just as important as performance. That’s why they devised a groundbreaking new way to develop our engines, so that you can sit back and focus on the pure fun of driving. Every element of the car has been reimagined to improve efficiency and maximise dynamics. SKYACTIV-VEHICLE DYNAMICS represent a breakthrough in Mazda's tireless pursuit of our human-centric philosophy. As well as excellent environmental and safety performance, SKYACTIV-VEHICLE DYNAMICS provide integrated control of the engine, transmission, chassis and body. So you always feel at one with your car. Take the stress out of city driving with Advanced Smart City Brake Support. Designed to help avoid or minimise the effects of collisions at speeds up to approximately 31mph. The forward-facing camera and laser-based system continually monitors the gap and closing speed to the vehicle in front, and applies the brake if a collision is likely. (Available on selected models). i-Stop is a smart technology that saves fuel by switching off the engine when the car stops, for example when idling in traffic. At Mazda we do things differently by using direct fuel injection techniques and optimal piston positioning, Mazda's unique i-Stop allows drivers to re-start almost instantly while benefiting from a significant improvement in fuel economy. Mazda's i-ELOOP (regenerative braking system) uses a capacitor to store electricity recovered during deceleration. This energy is then used to power the headlights, climate control, audio system, or any other of the car's electrical equipment. Not only a unique way to store otherwise wasted energy, i-ELOOP offers improved performance whilst saving you fuel in the process.